I’ve been a fan of Jordan since I was about 8 years old. I remember as a kid desperately wanting church to end because I knew that at noon, Jordan would be on TV. Jordan is so pure, so powerful, and so true. Jordan commanded respect. Michael Jordan was the best basketball player I’ve ever seen. Thus, by the age of 12 or 13 when I realized that there was also a country called Jordan, it immediately thrust into my list of “must-visit” countries. Today, I’ve gotten that chance. I’ve just arrived at the beach resort town of Aqaba, Jordan to take in the best Jordan has to offer. I’ll be exploring the classic Golden Triangle route of Jordan, which includes Aqaba, Wadi Rum, and the wonder that is Petra. This trip is part adventure and part relaxation, and after Indonesia, I could probably use a little bit of both. There are so many activities packed into these 7 days that I’m positive I’ll miss a few in this preview. We arrived in Aqaba early morning and are immediately set out to explore the seaside town. Tomorrow we head out for Petra where we’ll tour the site during the day, as well as visit during the night, a chance to photograph the stars and scene I’ve been dying to shoot. 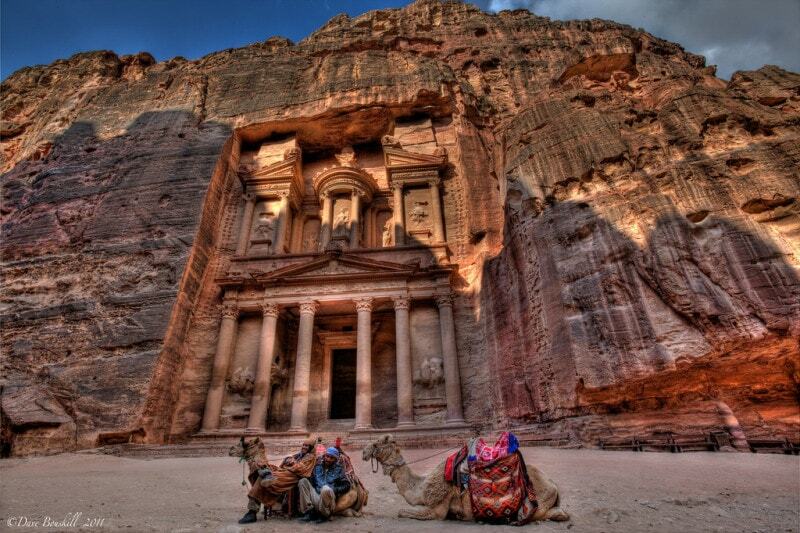 On the third day, a hike around Petra will be followed an arrival at the salty waters of the Dead Sea. On the following day, we’ll float in the buoyant waters before setting our toes in the sand of Wadi Rum and our rumps on the back of camels at sunset. In Wadi Rum, we’ll take a balloon flight over the incredible scene, and tour the region by 4×4. Finally, we’ll return to Aqaba where I’ll get a chance to see if I remember how to Scuba Dive after learning this past fall. Sadly, the adventure will end there with a return flight to Southeast Asia. This is an adventure I’ve been dying to go on for a while. It’ll be so nice to have a bit of a change of scene. I’ve always loved the desert and the sea, and this trip to Jordan appears to offer just that in high quantity. If you want to follow along with the adventure, be sure to follow the hashtag #sharemyJordan on Twitter, Facebook, and Instagram. Of course, there will be loads of fun content flowing out here on the travel blog as well when it’s all said and done. Anyways, off to one of the wonder’s of the world. I’ll see y’all on the other side! Previous ArticleShould Tourists Pay more than Locals at Attractions? Brendan, love that shot – the perspective really shows just how imposing and beautiful the mountain is and I’m drawn to the ornate doorway. Wish it were mine Maria! I borrowed it from Dave at The Planet D. Loads of photos coming up though!